Johnny Thomas played one season at Marshall University in 2010-2011 after transferring from North Carolina State University. The Morehead City, North Carolina native endeared himself to Marshall fans with his hustle and attitude. Finding him on a team known for being flashy comes as a bit of a surprise. During his time on Marshall’s basketball team, Thomas had a reputation as a guy that did the small things. Thomas joined the Globetrotters last year; he said it was an honor. The Globetrotters have been playing ball for 88 years all over the country and world. They’ve played in 122 countries and according to their website in front of a 188 million fans. Thomas goes by the nickname Hawk. He said he was working out for the team before joining the Globetrotters and they noticed he could jump a little. The coach told him after seeing him dunk, we’re calling you hawk because you can really fly. 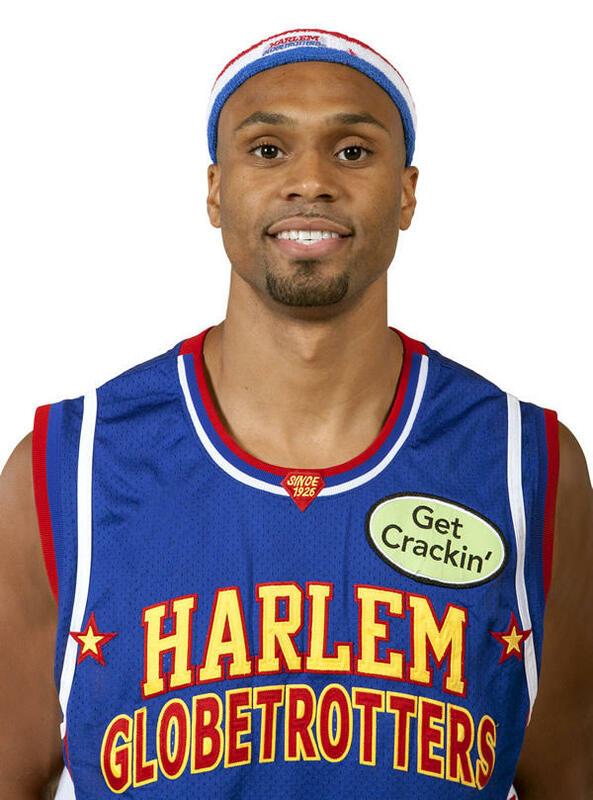 Thomas said it takes a unique basketball player that can fit with the Globetrotters and do all the tricks, while still being charismatic and interacting with the crowd all the while playing a little basketball. Those tricks recently led to an attempt by Thomas to hit a shot from five stories above the floor at Madison Square Garden in New York. He said it’s nice to see how much the Globetrotters mean to the people that come out to see them all over the world. “I am excited to be a part of it, it does amaze me at the fan loyalty that we have, we’re the only supported franchise in history where people are always on our side, people are always wanting us to win, that’s what I love,” Thomas said. Thomas is excited about the chance to play in the area once again. He said his short time in Huntington meant a lot to him. “I’m looking forward to coming home and really seeing people that I haven’t seen in a long time and just having a great time with it,” Thomas said.